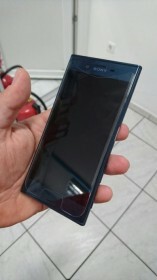 Exactly one week ago we brought you an exclusive first look at the upcoming Sony Xperia handset with the model number F8331. This is going to be the successor to the Xperia X Performance that just went on sale this month, and while in terms of innards it's not entirely different from that phone, it does sport a very different design. Here are a couple of newly leaked images showing the F8331, emphasizing that point further. 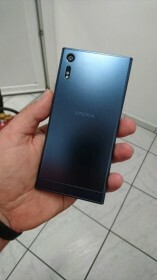 Sure, the front of this device does look like a lot of past Sony flagships, but its back is distinctive, thankfully. Oh, and you get to see a horribly designed screen protector too. The Xperia F8331 will come with Qualcomm's Snapdragon 820 at the helm, like its predecessor, but it will have a slightly bigger screen (now 5.1") and the ability to record 4K video with both of its cameras. This phone might end up being Sony's flagship offering for the second half of 2016, and its unveiling could happen at the beginning of September at IFA in Berlin. It will come with a USB Type-C port (a first for Sony) but will retain the 3.5 mm headset jack that so many companies are ditching this year. Yes, Sony is the best.